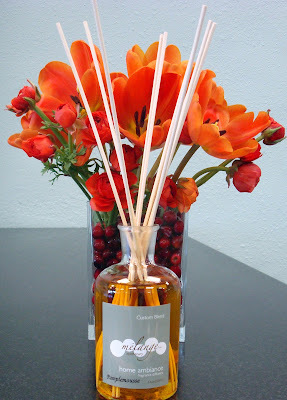 A huge hit last year for Holiday & Winter, our custom-blended diffuser in Citron d' Hiver ( Winter Citrus) is back. We have a limited supply of this blend of Sweet Italian Orange, spicy Cinnamon and warm Amber. Rich and sophisticated, this is a wonderful gift as well. 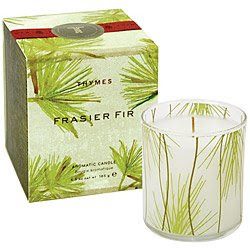 I always know to get ready for the Holiday Season when the Thymes Fraser Fir Candles arrive in the store. Just opening the box makes me want to hang stockings and find the ornaments! These candles fill the house with the fragrance of fresh Siberian Fir Needles, Cedar & Sandalwood. 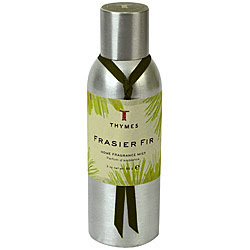 Best of all, they now have Fraser Fir in a Home Fragrance Mist. How? This cupcake is a handmade Bubble Bath Cupcake! Simply place the cupcake under running water for a fragrant bubble bath. 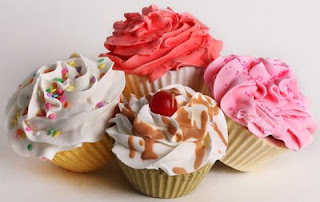 An adorable gift, these cupcakes come in six flavors: Birthday Cake, Creamy Vanilla, Oh Honey, Fruit Sorbet, Lemon Fluff & Cotton Candy. They are available in two sizes. Small: $3 & Large: $6. 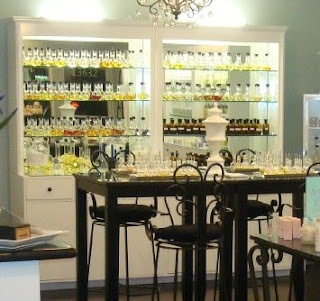 Join us at Melange every Thursday in November & December (except Thanksgiving & Christmas Day) 4:00-7:00 p.m. for our Fragrance Bar Happy Hour. No reservations are neccessary and the Mimosa's are complimentary! Receive a complimentary .17 ounce roller parfum in your choice of fragrance with any custom blend. A perfect way to try a new fragrance for Fall & Winter...and stock up on your essentials. Also during our Happy Hour Thursdays: Your favorite products from Cote Bastide, MOR, Thymes, and more are 20%: Gifts for them and something for you too!